The Empathy Map helps you gain a deep understanding of your stakeholder by exploring different aspects and including different senses. 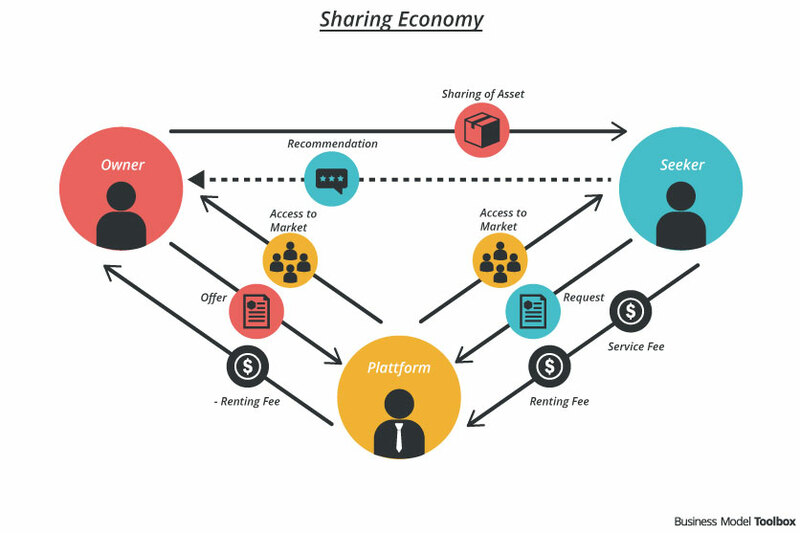 A successful business model design and a responsible business are based on a deep understanding of your user, customer and other stakeholders that are relevant to your business model. 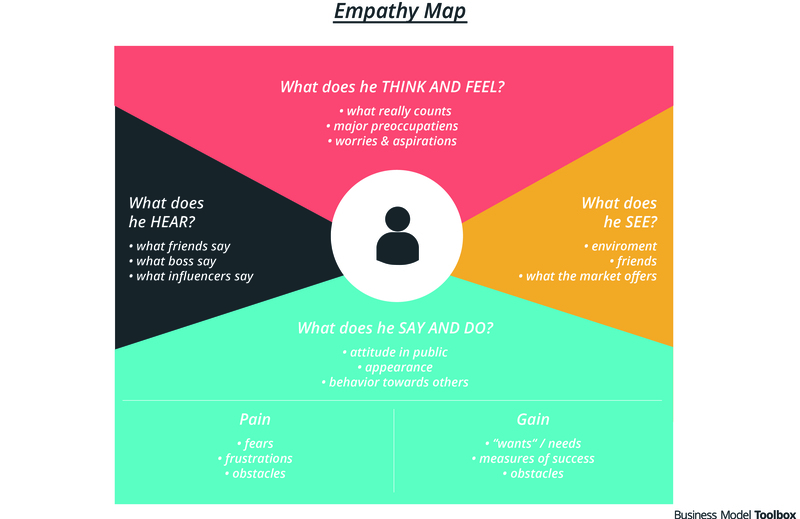 The Empathy Map tool helps by focusing your attention on different aspects of what a person thinks, feels, sees, hears and does as well as his / her pain and gain points. Moreover it supports the visualization and synthesis of your insights. How does his environment look like? What offers does he see every day? Who are his family, friends, partners..? 3. What does your he think and feel? What is important to him? What are his dreams? What does he worry about? What does he tell others? What is he doing and what are tyical activities? What does he use as support? What technical devices is he using? 5. What are his pain points? What are the most frustrating things? What challenges and what risks does he faces every day? 6. What are his gain points? What makes him happy? What does he really like? What makes something successful? How does he reach his goals? 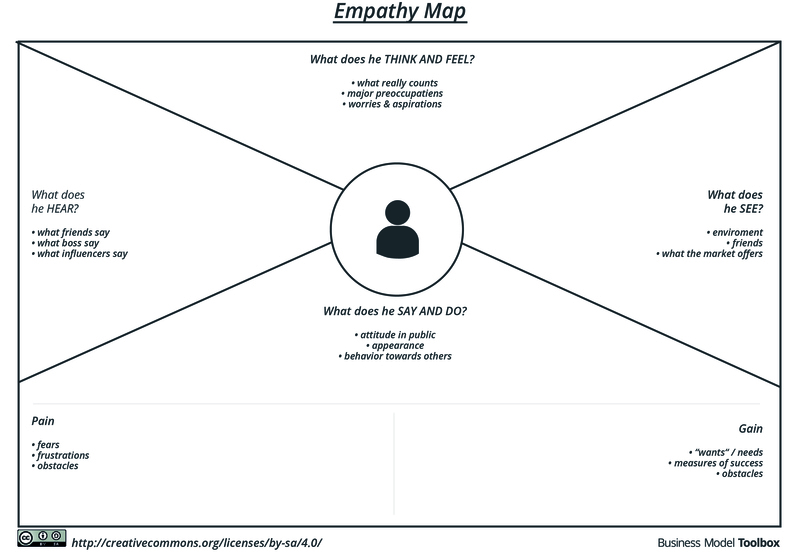 The Empathy Map fits on one page and is designed to be printed out and to be filled in. Use the Empathy Map to collect information during an interview or observation: The different categories support you to not only listen but also taking care of other aspects during an interview. Often the body language or the surrounding can tell you a different story. You can also use the Empathy Map to synthesize and cluster the information after an interview or observation. Use sticky notes because they can be easily removed or changed. Only write one aspect on every sticky note and use different colors to highlight something. A deeper and more diverse picture of your stakeholder can be the basis for designing a responsible and sustainable business model and for creating value. Very good and helpful for all organizations. Good information for business and life. A mindful leader practices empathy.